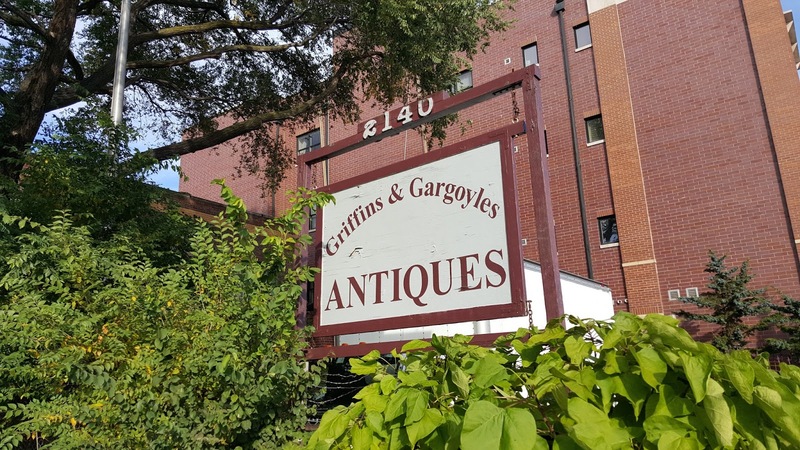 The curious and attractive Griffins and Gargoyles Antiques building at 2140 West Lawrence, IL 60625 sits among several redevelopment properties along West Lawrence in Lincoln Square. The charming building sits deep back on the lot with a brick parking lot in front. That's rare itself as the vast majority of properties front the sidewalk on Lawrence. It's hidden between the large 5 story condo building at Lawrence and Hamilton to the east and mature trees on the west lot line. According to a sales flyer and neighbor sources the adjacent parking lot and building to the left at 2150 West Lawrence are for sale and will be developed when eventually sold. 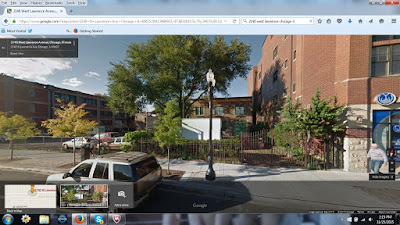 This Google Maps image shows the small set back building. It can potentially face another large development to the west. 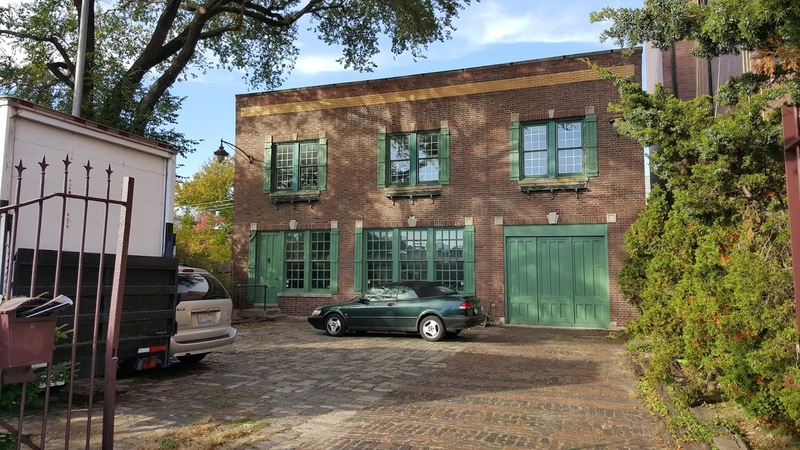 It's a cool building and business and I hope it sticks around during the trend of development along Lawrence Avenue.